According to his agency, Lee gave all the staff an eco-friendly towel and a T-shirt in honor of his birthday on June 22. The T-shirt was specially designed by PROMIZ, a donation platform site made by Lee. 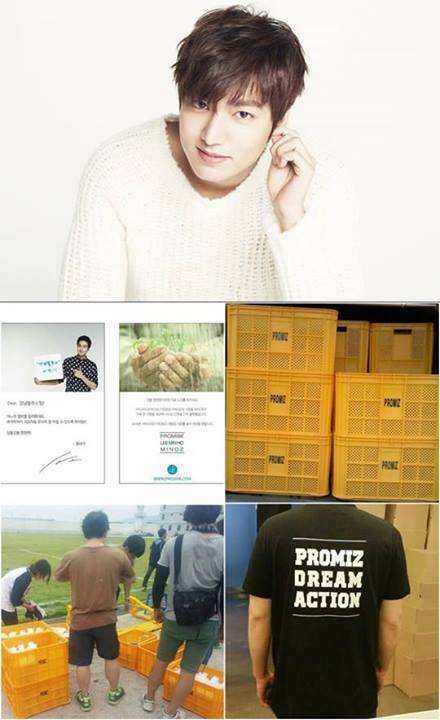 The name “PROMIZ” is a combination of the word “Promise,” the actor’s name and his fan club’s name, “MINOZ.” Lee launched the page with his fans to share love and help those in need. The card also had a picture of Lee holding a sign saying “Gangnam Blues Daebak!” to wish for the success of the movie. “Before starting PROMIZ, I used to receive gifts from others for my birthday. This time, I decided to give presents for a change with my fans. It was just as good as receiving,” Lee was quoted as saying. “Gangnam Blues” is to be released in the second half of this year.